If you use social media on a regular basis, privacy has started to become an elusive experience. Almost every site you visit, be it a shopping site or a social media one, you are being tracked. Your browsing habits, the stuff that you like, and the number of times that you visit a particular page is being tracked by retail and search giants so that they could serve you tailored results. If you are oblivious to this trend, simply visit your Facebook profile and you will see adverts that are based on your previously visited sites and likes. 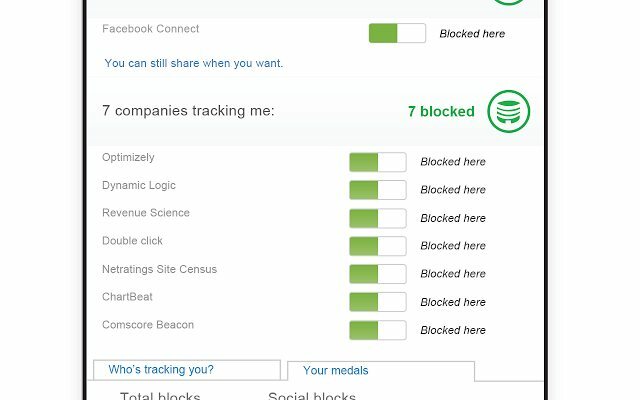 DoNotTrackMe is a simple free extension that lets you see and control the data that's being sent to various advertising networks. One of the best features about this extension is that it lets you block specific elements of a web page. Also, this extension blocks any cookies that might have been stored on your computer. 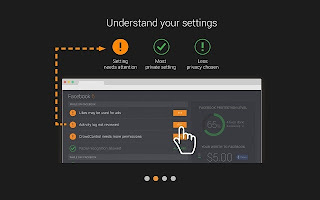 My personal favorite, Privacy Fix lets you fix all your privacy woes from one single place. Not only does PrivacyFix help you figure out whom your data is exposed to, it also lets you change privacy settings so that you won't have to worry about your privacy in the future. Once installed, PrivacyFix shows up as an icon on your toolbar. Simply click on it and you'll be able to access all your privacy settings from one place. 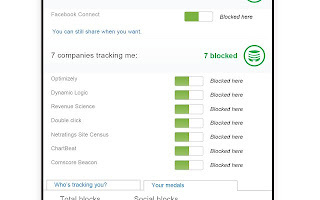 Developed by AVG, you'll be able to view all your tracking data that is sent to various popular websites. The extension first starts by letting you check your Facebook privacy levels. 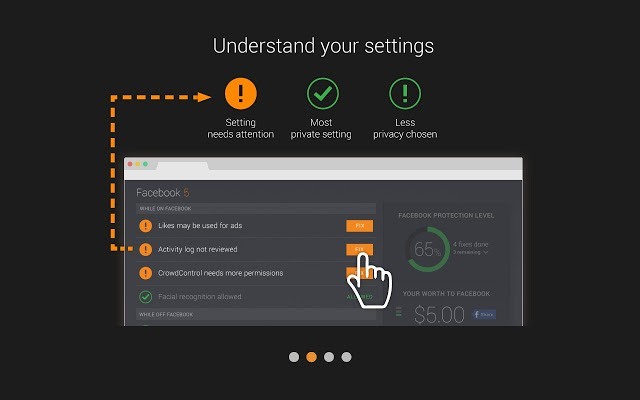 On a single page, you'll get all the necessary controls you need to change your privacy levels on Facebook. You can make your profile public, private, or tweak its privacy however you want without having to go through dozens of hoops. Next, you'll find settings for tweaking the privacy of your LinkedIn account. You can, if you want, make your LinkedIn account private instead of public so that only the people you want will be able to find you. Another setting that you'll love is that of changing the privacy levels of your Google Plus account. The privacy page even shows you statistics about your private data. Data like how much your account is worth, how much data Google collects, etc. Finally, if you are still paranoid about what you've already shared, the extension lets you clear previously shared data and erase it. 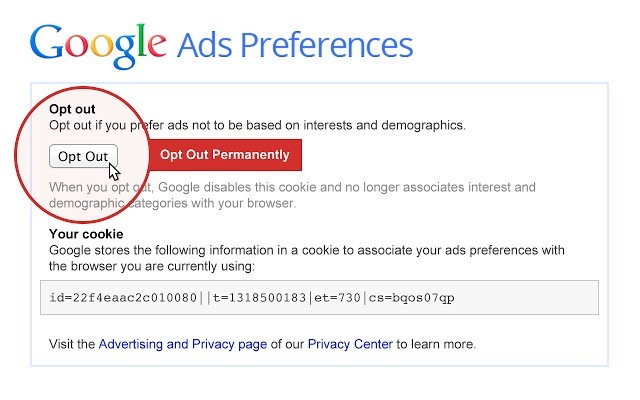 This extension, developed by Google, lets you opt out of ad-tracking from some of the most popular companies. The list of companies is huge, and also includes Google itself. You can view the list of companies HERE. 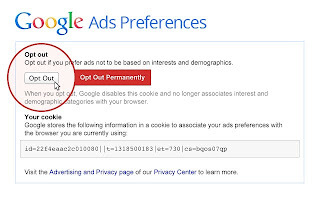 Once installed, your browser will tell the websites to not track your personal data so as to provide you with personalized ads. Privacy Manager is a free application that lets you tweak some of the most common privacy settings in Chrome. Once installed, Privacy Manager shows up as a neat little icon in the toolbar. 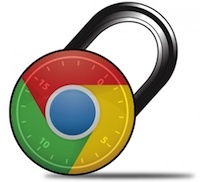 By simply clicking the icon in the toolbar, you can access dozens of common privacy settings. Settings for toggling features like 3rd party cookies, auto-fill, spelling services, app caching, and downloads can be accessed no matter what page you're on. The extension is best suited for people who are worried about browser-side tracking of their data. 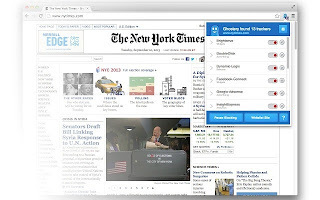 One of the most popular privacy extensions, Ghostery lets you see the invisible trackers, web bugs, pixels, and beacons placed on web pages by Facebook, Google, Analytics, and other ad networks. This is one of the best ways you can learn about what goes on behind the scenes, who tracks you, and what data is sent. 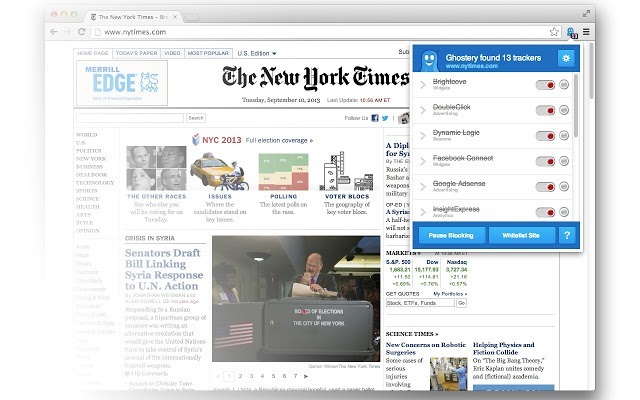 Not only does Ghostery make you aware of tracking, it also lets you control all the information that's being sent.